Think about some of the best times you’ve had on a great night out in the city. Now, were you in one bar the entire night? Chances are you weren’t. Now it’s time for you to truly enjoy the bar scene in Hollywood, and really experience what variety is all about on a holiday like Cinco de Mayo. Everyone in the city knows that Cinco is probably one of the most anticipated days of the year, and once it finally arrives, the city is buzzing with celebration. Considered one of the top bar scenes in the country, Hollywood has be surveyed by the producers of the world’s biggest pub crawl, PubCrawls.com, and now they’re looking to break into the record books yet again this year. 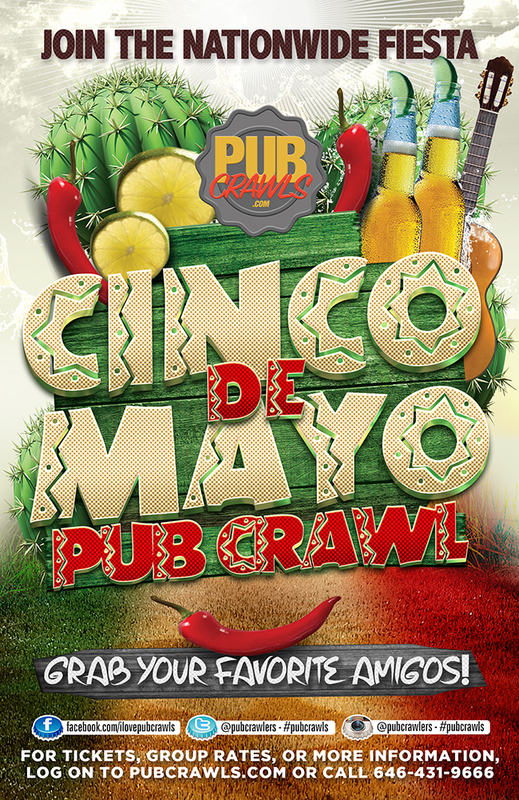 One of the most anticipated events of the year is taking place in Hollywood for the official Cinco de Mayo pub crawl. There’s no excuse for you to stay cooped up at your neighborhood bar on this day, especially with this awesome event taking place in the city.